Captain Kirk’s in South Park has great coffee, but also toys for their coffee lovers to play with (see photo). 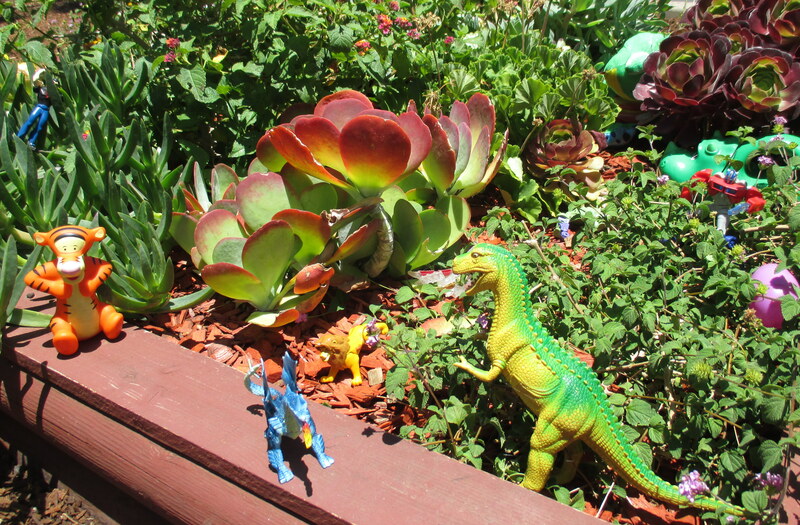 Maybe you don’t care to play with a toy dinosaur or Tigger while drinking your coffee…no worries, there’s outdoor seating under the nearby tree where you can watch South Park residents walk by. Captain Kirk’s is an outdoor coffee shop with walk-up & drive-up windows. They have a long list of hot or iced drinks, along with Acai bowls. Bring cash, though. And while you can play with their toys, there is no WIFI, but there may be a surprise piece of chocolate offered on the top of your drink. 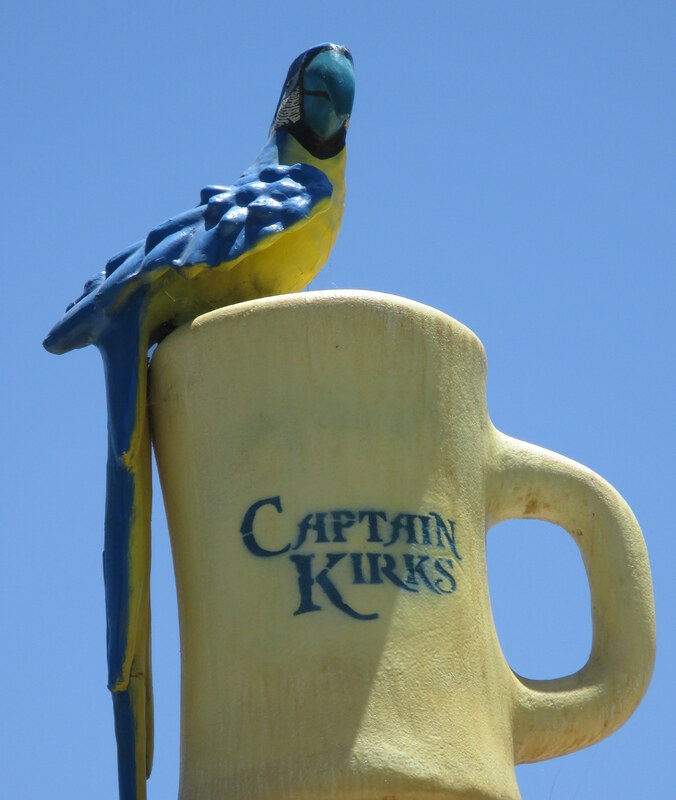 Look for Captain Kirk, the parrot, perched on top of Captain Kirk’s, the coffee shop. Parking is on the street or in the grocery store parking lot (although only for a short time if you want to avoid the posted $5 fee). Hours are 6:00am-7:00pm daily (8pm Saturdays). South Park is a very walkable, dog friendly neighborhood on the east side of Balboa Park. They have quarterly “Walkabouts” (http://www.southparkwalkabout.com/) on 4 seasonal Saturday evenings. Coffee shops, pubs, and shops are open, along with street musicians, from 6-10:00pm. The 2014 Walkabouts will be July 26, Oct. 4 and Dec. 6. There was also a March Walkabout, held March 22 in 2014. This entry was posted in Coffee shops in San Diego, drive thru and tagged South Park. Bookmark the permalink.